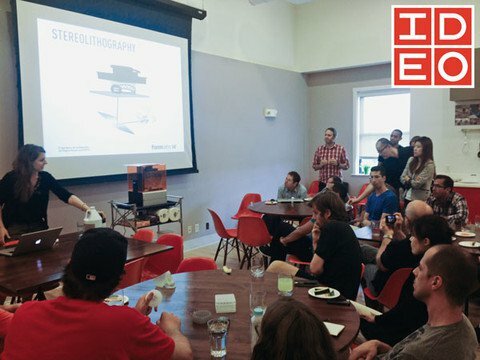 We visited our friends at IDEO, this week, to set them up with their brand-new Form 1. IDEO was one of our earliest Kickstarter backers, and we're thrilled to get the Form 1 in front of some of the best designers and engineers out there. We're looking forward to what they'll come up with!